I’m falling way behind on blogging all of these FOs — too busy sewing! and given that I’m in the race for second place, I’m going to keep that going as long as I have a shot at a prize. But here is a dress I finished over the weekend, and it is my favorite so far of all the things I’ve finished this month. It’s cool and breezy and floaty, and it will be perfect for hot summer days. I love a lightweight dress on a summer day because you can look casual and non-slobbish and still be cool and comfortable. I look at this picture and think, boy, do I need a new hair stylist. That pale yellow fabric is a fine cotton lawn purchased at Haberman’s in Detroit. A couple of years ago, I met friends in Stratford, Ontario, for the theater festival. The costume mistress for the theaters happens to also be a romance novelist, so she arranged a backstage tour of the costume department for us. YOU GUYS. Imagine an entire network of hallways and rooms, like a little maze running under the theater. Turn a corner, peek into an open room, and there’s a cobbler making custom shoes. Across the hall, through another open room, you’ll spot the giant vats where they custom dye their textiles. Hat makers, wig makers, pattern makers, seamstresses — the list goes on an on, each tucked into their own delightful nook in the maze. And the fabric storage room? *dies* They had to pull me out of that room, and I left fingernail marks on the walls as they dragged me away. I’m talking silk brocades so decadent and gorgeous that you would have to hunt the entire globe to find something that special. Which they do. The costume mistress travels to all the wonderful places where we hide the best things. Best job ever, right? So, after being whipped into a froth by that amazing behind-the-scenes tour, I detoured through Detroit to pop into Haberman’s, a legendary fabric store — and with good reason. 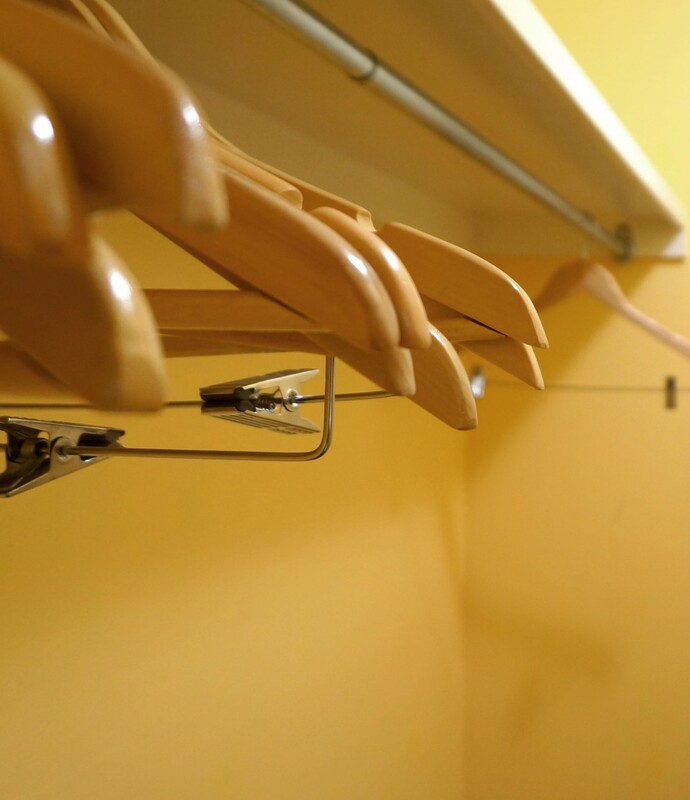 The fabrics were superior quality, not a cheap crappy bolt to be found anywhere in the store. They even had some real Missoni fabrics from the Missoni mills. I could have spent all day there. Instead, as soon as I spotted the signs for a sale on all cottons and linens, I spent half a day there, walked out with bags too heavy to carry, and have been dreaming of a return trip ever since. This yellow lawn is incredibly smooth and light, sheer enough that I have to be careful about what I wear under it, but opaque enough to get away with skipping a slip. I wish you could reach through the screen and touch it. It’s that good. I like yellow and gray together, so I cut the bodice from a piece of heathered gray cotton leftover from another dress. I think the colors play well together. I tried to do a FBA with a pivot method — the process of adding a dart to this dress, given the way the seam lines angle across the bodice, would have been a nightmare. The pivot method worked well enough, but I would grade it at about a B or B- for the finished result. Not perfect, but good enough. The fit is smooth over the bust, but there’s some gapping under the arms, in the lower third of the armscye. That’s the down side to the pivot method. It almost always will create that kind of gapping there. So, I’ve finished seven (??? I think) garments so far this month, and two more nearly done. This is my favorite so far, and the gray fabric is leftover from my least favorite so far. Same fabric, very different results. I’ll show you that one soon, but for now, back to the sewing room. We’ll see if I can pull off a second place prize! Unlikely, given the way everyone is crushing their stashes for this contest, but I’m in contention and that’s enough to keep me sewing away. What’s the most you’ve ever sewn in a month? The second was finished last Sunday, and it was a challenge. This is a Butterick pattern from a few years ago. The second I spotted the pattern envelope, I knew two things. One, I had to make it, and two, it had to be in my goal-weight size. I knew I wouldn’t wear it otherwise. 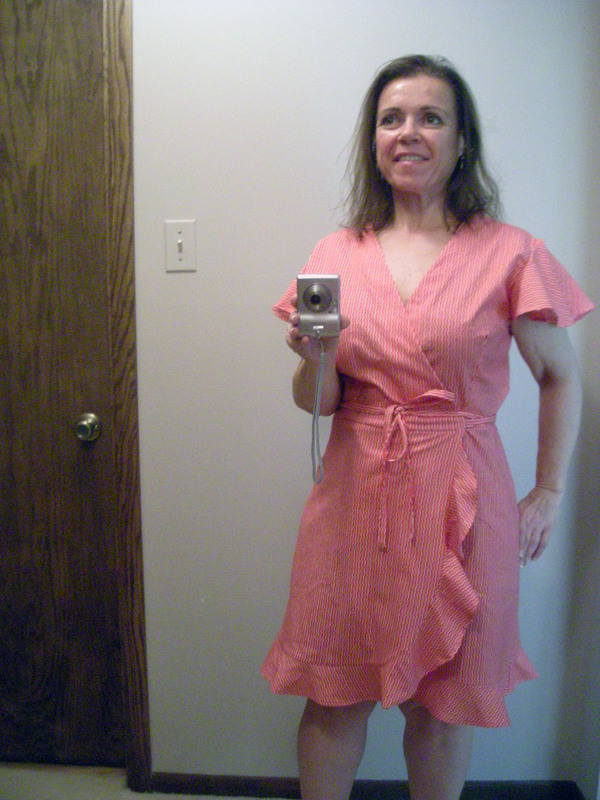 This is a dress that requires a bit of confidence in the wearer, one that might get a bit of notice because of the inset color blocking on the sleeves, and I didn’t want to feel self-conscious about my weight while wearing it. So I’m not going to show you a modeled shot of me in this dress yet because, though it fits, it’s too tight to wear yet. I’m close to goal, but not quite there yet. When the dress fits less like a bandage dress and more like a, you know, dress dress, I’ll celebrate with a new picture. 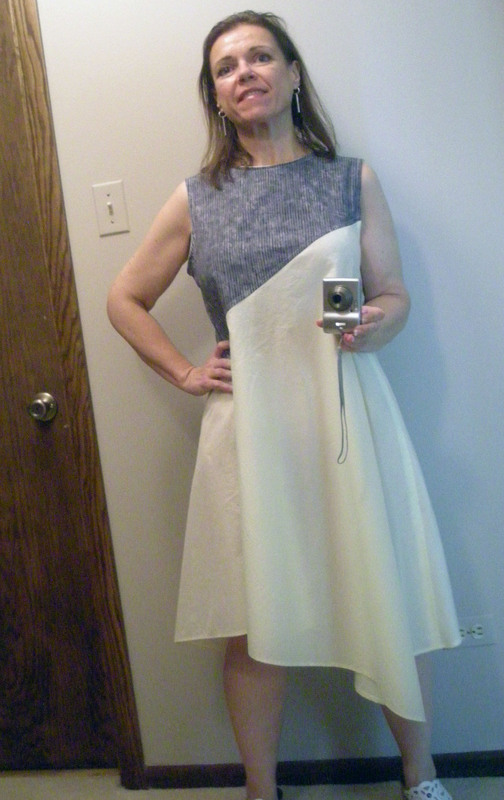 The pattern is Butterick 5522, and my version is a pretty near clone of the envelope. Those sleeves were very tricky to sew and took me almost an entire Sunday. Sewing convex and concave curves together is always going to be tricky in any case, but in this case, it was complicated by using two very different weights of fabric. The red is a pretty normal jersey weight. The black is a heavier knit left over from an old project. I typically only keep leftover fabric if it’s in a half-yard cut or more, mainly because I know from experience that’s about as much as we need for decent color-blocking. Sometimes I’ll keep quarter-yard cuts if I think they’ll make good pocket linings or contrast facings on another project, but that’s more rare. I usually have to have the project in mind for that to happen. In any case, joining the lighter red to the denser, less pliable black on a concave/convex curved seam was something of a challenge. These seams rippled like crazy. You know how that goes — if you stretch a knit while sewing it, the seam will usually ripple. 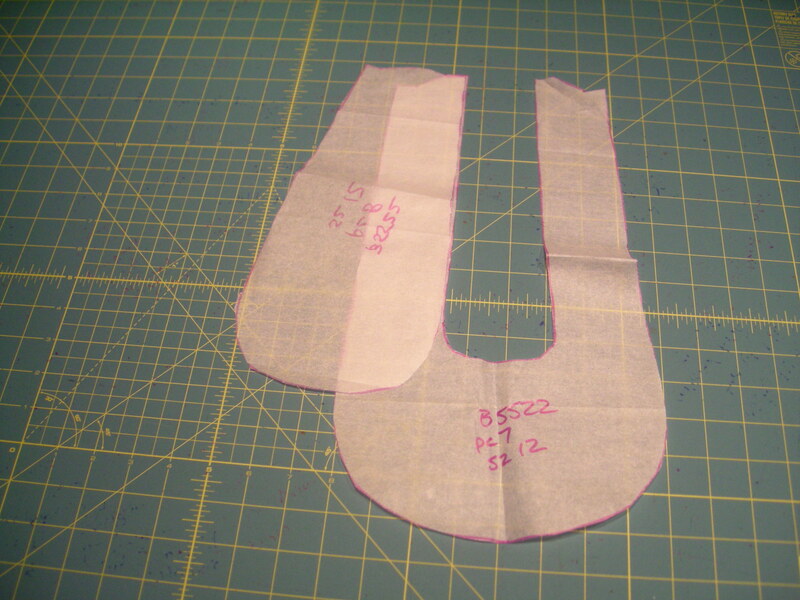 But because of the way these curved pieces are joined, it was really tricky to sew without stretching. Let me show you what I mean with the pattern pieces. These are the first two pieces. The oblong piece is red on my dress, and the U-shaped piece is black. The oblong forms the center top of the sleeve cap where it joins to the armscye at the shoulder seam. When you lay the pieces on top of each other, right sides up, you can see how they should align. But we don’t sew them together like this, right? We have to flip them around so that the right sides are together and the raw edges are next to each other. This is what happens when you flip that top piece to start pinning or basting it in place for stitching. That first long edge is no trouble at all but thing about what you have to do to get those curves to align along the bottom edges. Imagine pinning that into place. You have to sort of twist and bend everything to make those edges align, right? And that is why it was rippling. And rippling, and rippling. I used mounds of pins and clipped the scenes carefully, which cut down the rippling by at least 90%. But there was still a tendency to ripple, and I think that remaining tendency stemmed from the different weights in the fabric. It reminded me a bit of trying to join a knit to a woven. If you’ve ever done that, you know it’s a process prone to a bit of wonkiness along the seams. This was much the same way. Lesson learned: color block different weights of stretchy fabrics with different degrees of stretchiness only if the seams are mostly straight. If the seams are sharply curved, use fabrics of a similar weight and stretch. I never did find a goof-proof way of eliminating all the rippling, but eventually, I was able to make the sleeves lay flat enough along those curved seams. It’s still not perfect, and if I look closely, I can see one or two spots where there is a small ripple. Those remaining ripples are around 1/8 to 1/4 of an inch long, and there are only two or three of them, so I decided that was good enough. Whew, etc. I love the way this turned out, by the way, and I really look forward to wearing it. It’s very cute on (though too tight for public display yet), and I think it was well worth the trouble with those curved seams. What do you do with your leftover bits of fabric? Back in high school, I had a red micro-check shirt with puffed sleeves, a peplum, and a tie in the back. I wore that thing until it was dead from overuse. One of my favorite tops ever. So when I saw McCall’s 6794, basically an updated version of that red shirt, I knew I had to make it sooner rather than later. 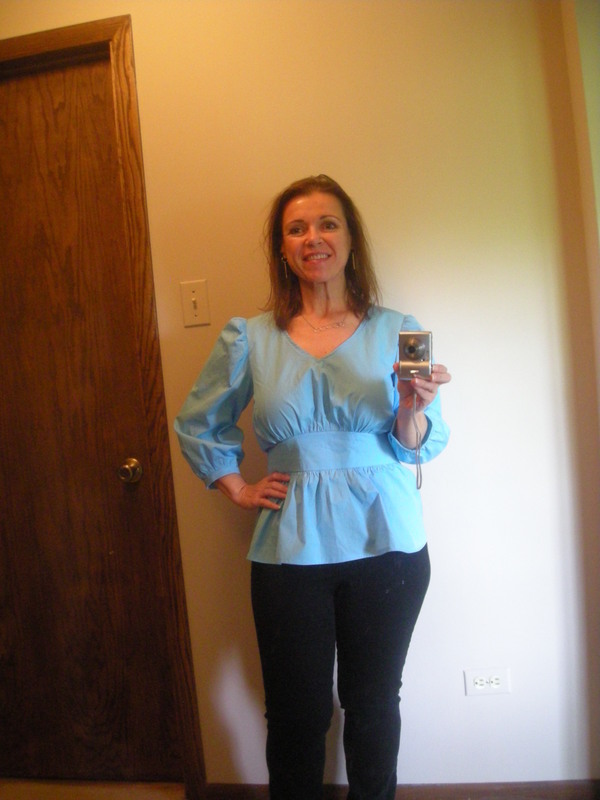 The original red top had shorter sleeves, a longer peplum, and narrower ties. It also had some banding on the neckline, which sat higher on the sternum. Other than that, this is a pretty near clone of that shape. I’m thrilled with how it turned out. There’s another view option on this pattern that I might end up making. I don’t usually wear dropped shoulders, but I think I might be able to get away with those. I don’t know. I don’t care to have a lot of fabric under the arms, so it might not work, but I do like the look of this view option quite a lot. The pattern looked like it would be fairly time consuming with all those gathers and the waistband details. But actually, it was an easy make that went together very smoothly and didn’t take as much time as anticipated. There were no tricky techniques or strange construction methods. This is a very straightforward pattern. If you can handle gathers and a stitch-in-the-ditch, you can handle this pattern. I’ve been sewing like mad lately, and I have other FOs to show you. It’s all part of the stash busting contest over at Pattern Review, where we’re committed to sewing up a lot of old stash. This is turning out to be great fun, and watching everyone race through stash is wonderful motivation to spend a little extra time in the sewing room right now. Plus, it’s just the excuse I need to clear out some old stash. That blue poplin shirting, for example, was purchased two years ago at Haberman’s in Detroit. I was in Stratford, Ontario, for the theater festival, and decided to take the Detroit path home specifically so I could stop at this legendary shop. My gosh, what a great place. Amazing fabrics, great selection, and lovely staff. I just happened to be there when all the cottons and linens were on sale, so I bought four lengths of this same poplin in four different colors. It’s as smooth as glass — if you’ve ever had the opportunity to touch a really top quality man’s dress shirt, the kind that retails for around $500, you’ll know just the kind of shirting fabric I mean. It’s so crisp and smooth. I love it. I have another length in yellow that I expect to cut on Saturday — I’m flying through my already-cut projects for this contest, so I’ll have to do some cutting in the near future. And some more blogging and reviewing! This has been such a worthwhile experience for me so far. I’m to the stage in my wardrobe-building process that I don’t need multiples of basics anymore, but I need those one-off, special pieces that add a little oomph to the closet. So while many others are working on cutting and sewing many tees or pajamas or other necessary basics, I’m focusing more on statement pieces than on basics. But if I do this contest again — and I suspect I will! It’s really fun! — I would definitely think about running up a stack of tees or something. It’s a great excuse to sew a lot of basics all at once, and it’s a smart approach to the contest, which looks at total yardage sewn in 30 days. People are sewing so fast that my only goal at this point is to finish in the top ten. And that might be impossible! We’ll see! Have you ever remade an old favorite garment for nostalgia? I have a feeling I’ll be showing a lot of finished sewn garments this month. I’m off to a strong start with two new garments already complete and two more within inches of completion. Here’s the first. This is the wrap dress from Favorite Things, and indie pattern company. This is literally a wrap dress in the truest sense, held closed only by ties at the waist. I chose this pattern because I love wrap dresses and because the flounce at the skirt really seemed to give it an extra dash of fun. I really like the skirt, and the body of the dress came together beautifully. Other than my standard FBA, I didn’t make any adjustments — though I wish I had lengthened the flounce by about an inch. It doesn’t quite reach the waistband in the front, and no amount of pinning and fiddling and basting could get it closer than a half-inch. This is a minor detail and might be by design, but I did want it to be just a whisker or two longer in front. Overall, the body pieces — skirt, bodice, flounces, facings, ties — came together very smoothly and easily. It’s a well-drafted pattern in those respects. But the sleeves, you guys. I just don’t know what to make of these sleeves. I was curious about these flutter sleeves. The pattern has two sleeve options, these flutter sleeves and sleeveless with a facing. Here’s the pattern image showing both options, and even a casual glance will let you spot the fact that the cross-back is fairly wide. Look at the fit of the shoulders on the blue sleeveless version. That sleeve cap extends out over the arm, past the point where we would normally expect the sleeve seem to fall. But I also think that’s cute — this isn’t a criticism, but an observation. I like the placement of the armscye on the blue version very much. I kept dithering over the sleeves. With a broad cross-back, I thought it likely that the sleeve cap would need adjustment to accommodate my slightly narrow shoulders. I don’t usually do a narrow shoulder adjustment, but I thought I might need to do so here. But the flutter sleeves might mitigate that, as long as they draped in a pleasing way. This matters to me because I don’t like tinkering with a narrow shoulder adjustment or with an armscye re-shaping. I just know from experience that I’m likely to be frustrated with the results when I start down that path. I’m better off picking a pattern size that fits my shoulders and upper bust, adding an FBA, and making any other adjustments through the torso as needed. 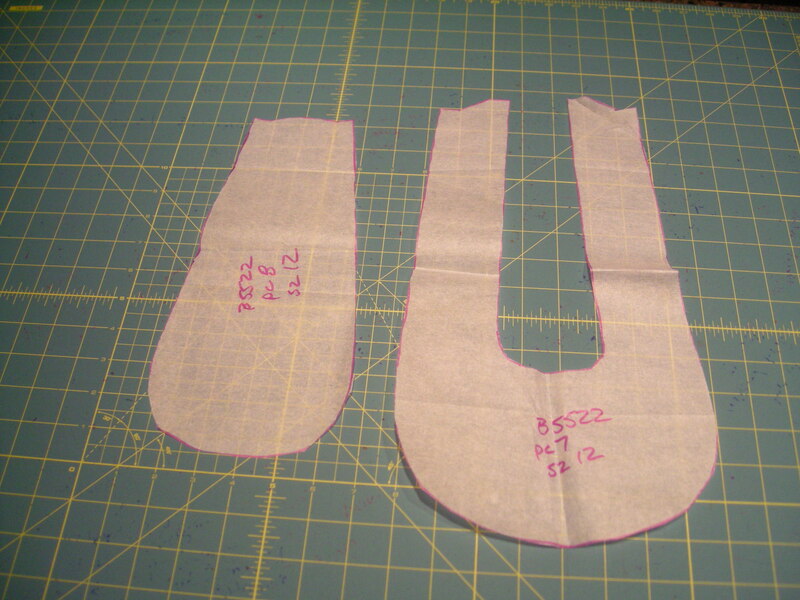 And the pattern piece for the flutter sleeves made me curious about how they would sew and drape. 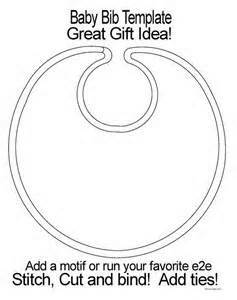 The pattern piece is shaped rather like a baby bib. 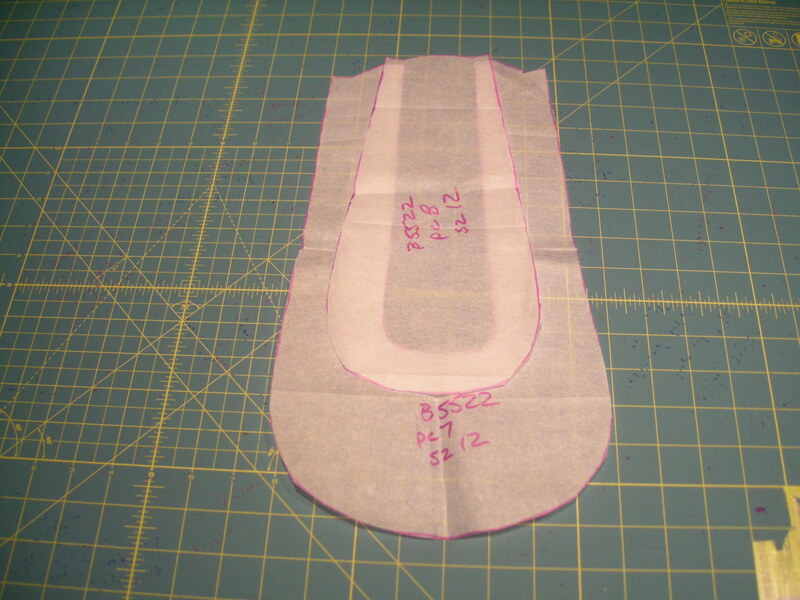 I’ve already put the pattern piece away, but this is a picture of a baby bib template that is almost identical to the sleeve. Have you ever seen a sleeve shaped like this before? I haven’t, and I can’t count the number of sleeves I’ve sewn over the years. So I knew I had to sew it just because, you know, it’s something different. 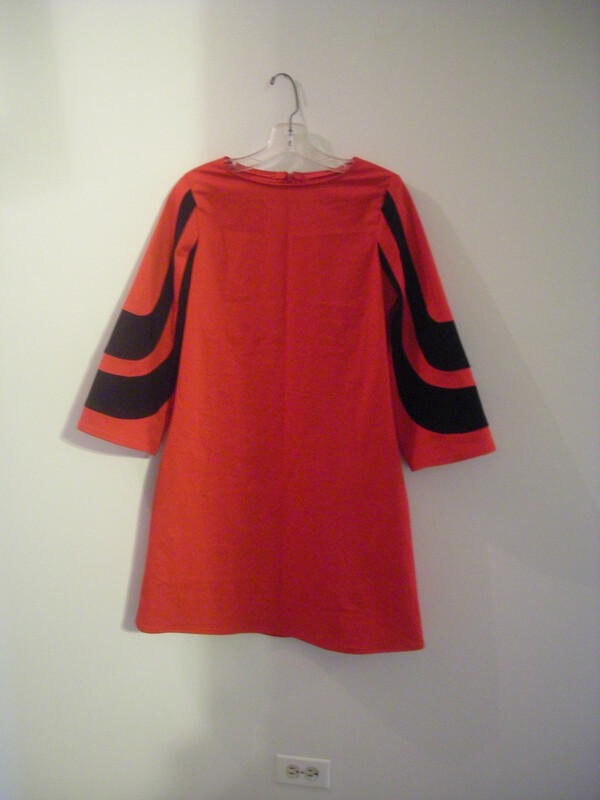 I have just enough of the red micro-chevron fabric left to cut a facing if I decide to remove the sleeves. And I just might. I enjoyed sewing them, but I am not crazy about the appearance of the finished sleeves. They’re not terrible, but they pull on the shoulder and armscye a little and prevent a smooth line there. I fitted this dress without the sleeves, and I can tell you, those wrinkles from the bust point to the sleeve cap didn’t exist until I added the sleeves. So I’m kind of leaning toward removing them for an improved fit, though I like the overall look of them. they’re a little playful, right? I don’t know. What do you guys think? Sleeves, yea or nay?